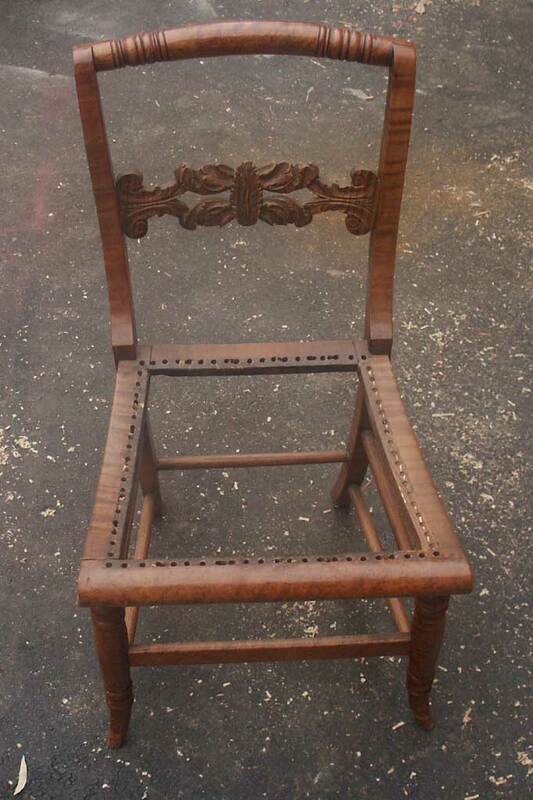 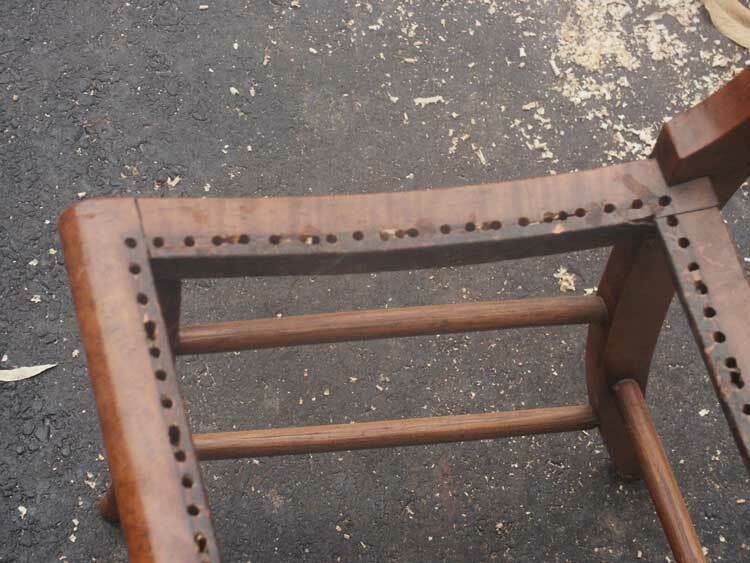 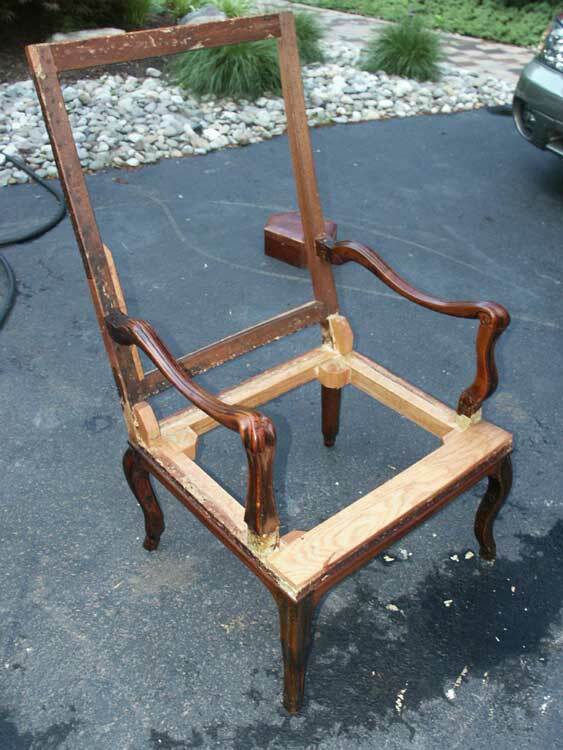 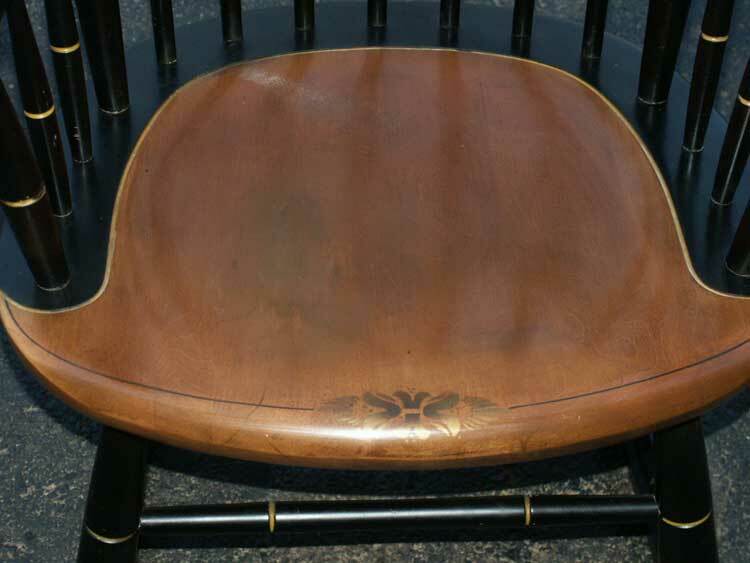 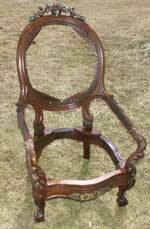 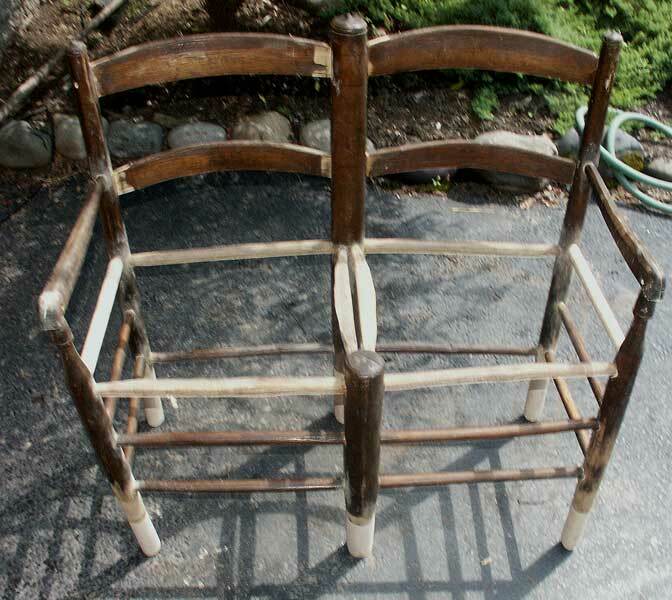 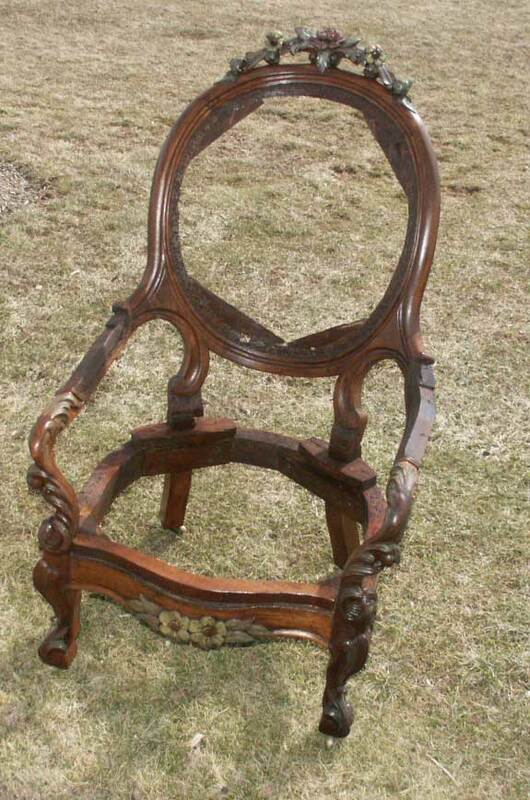 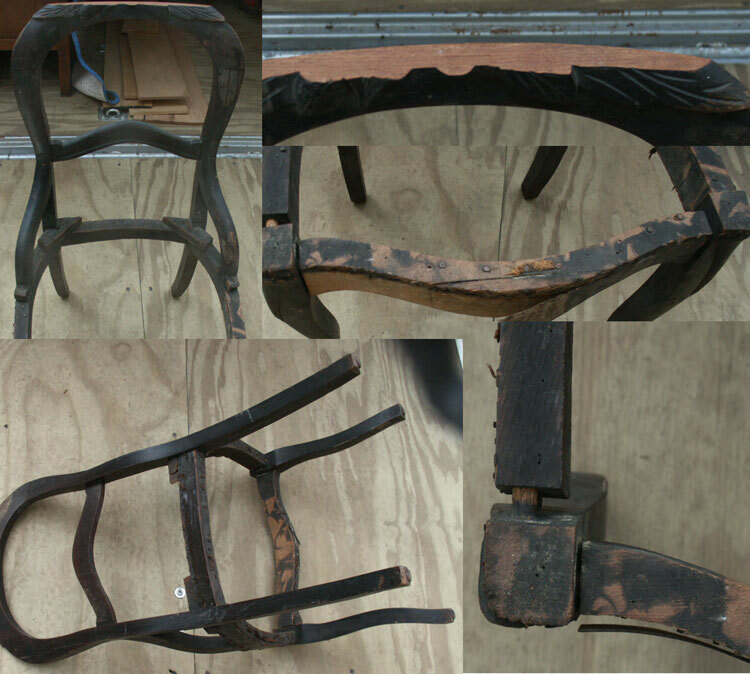 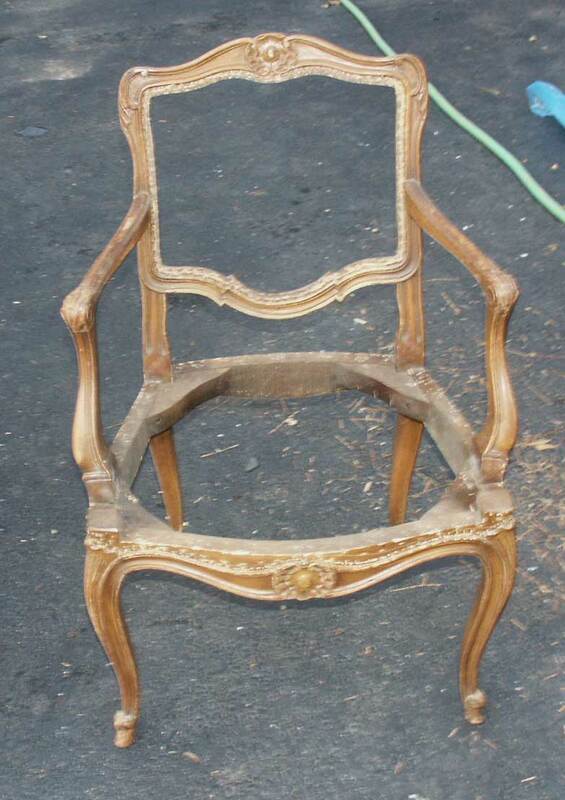 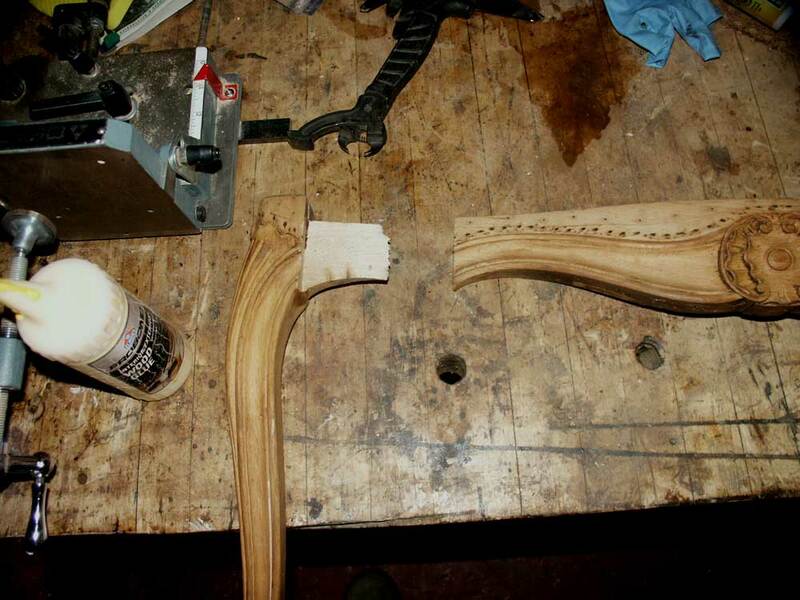 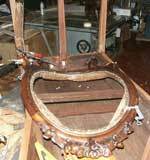 This Page Features several examples of chair restorations. 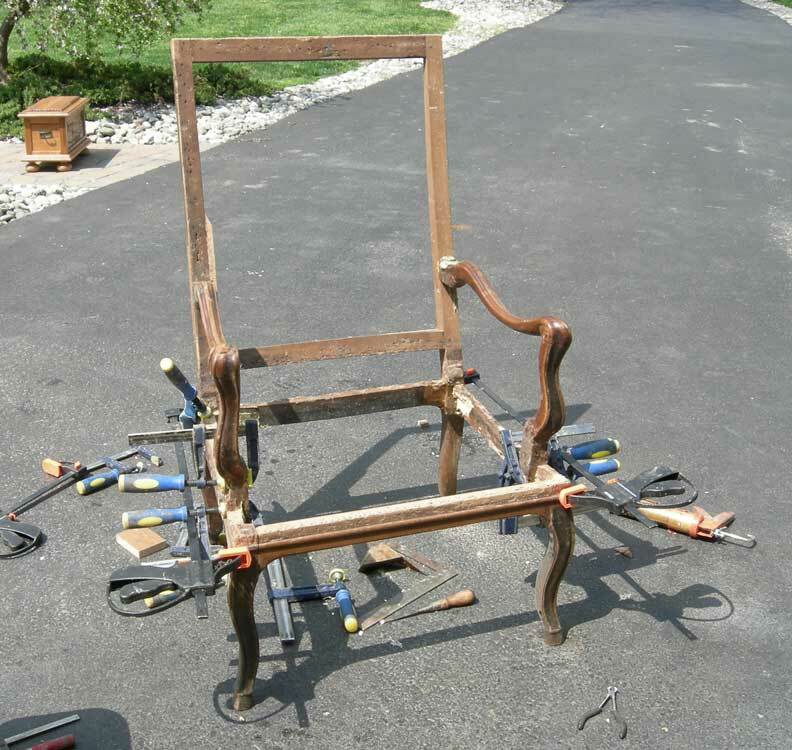 Keep one thing in mind - if you try this yourself first and fail, the repair likely just became more costly! The worst things you can do is drive random nails and screws into loose parts on a chair. 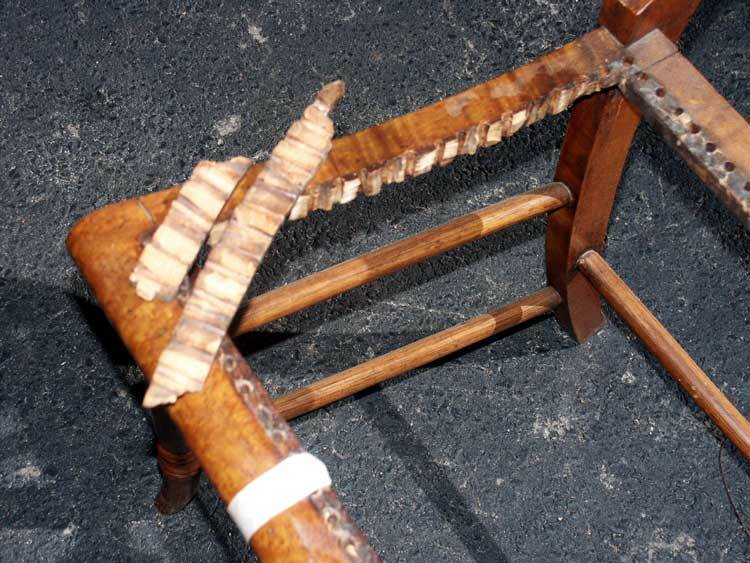 It will only help for a short period if you are lucky, then it will cause the wood to split around the metal fastener! 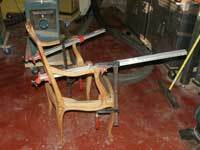 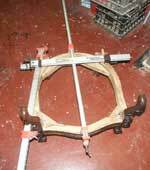 Next is repairing only one spindle or rung, which makes disassembly that much harder when the chair is properly fully restored. 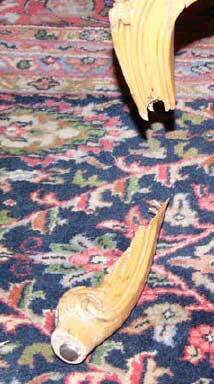 The work of one of our for legged friends, chews on both the rocker rail ends, and scratches on the seat. 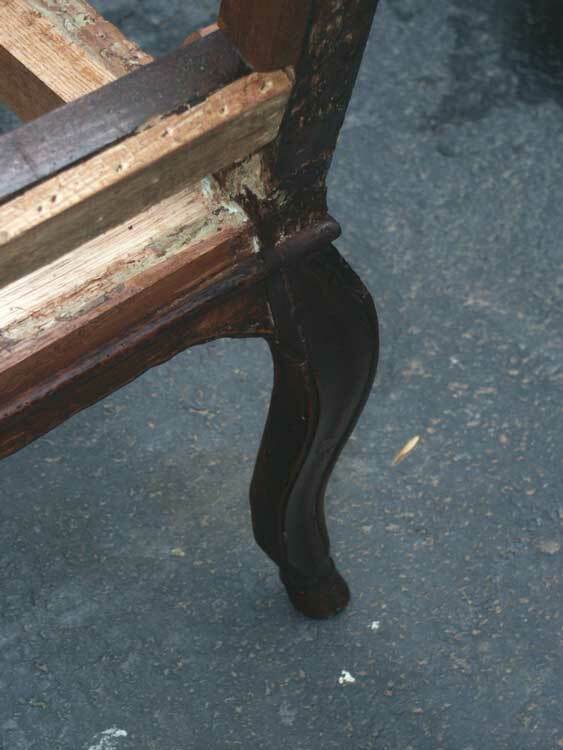 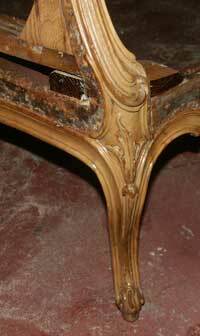 A very common furniture injury in our shop - finishes can be blended to hide or even erase many surface scratches. Filling techniques and raising of the grain help to bring out some of the minor depressions. The result, in most cases, is the damage becomes far less obtrusive, and in some cases requires conscious effort to detect if at all. 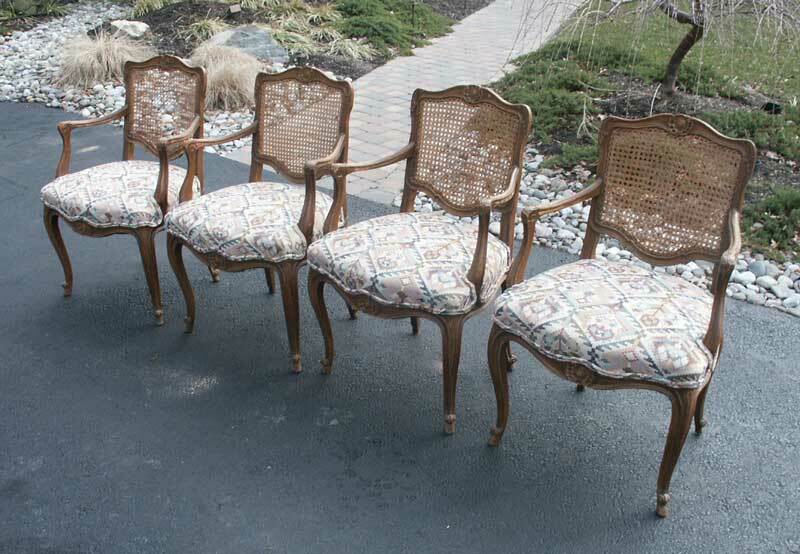 These chairs were about a half step from arriving in a box. 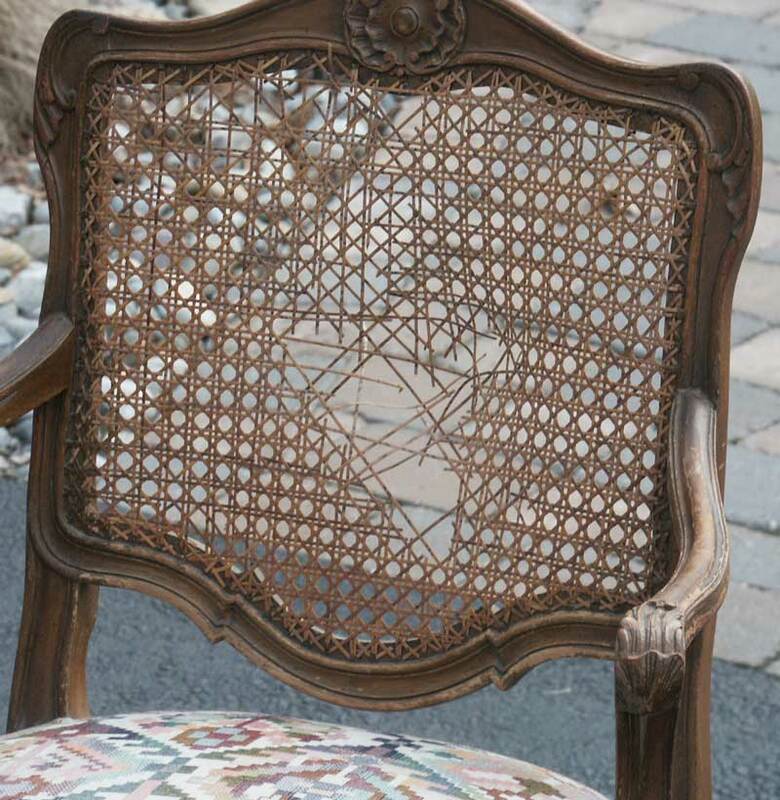 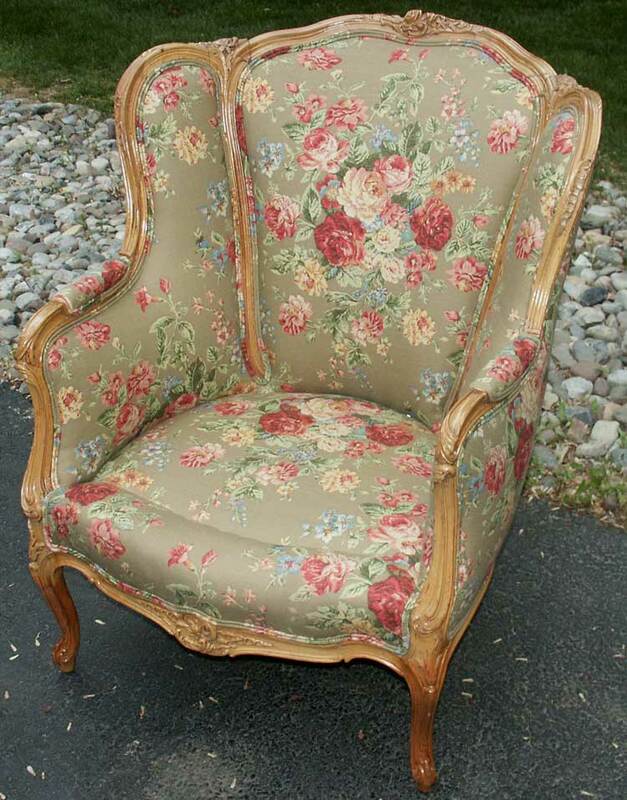 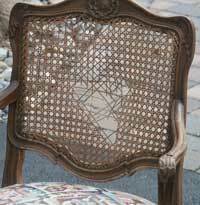 Complete with a few hundred extra upholstery tacks, this chair has definitely seen better days. 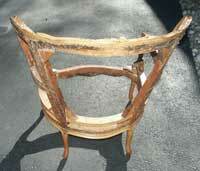 Another heirloom, a possession retrieved from a family farm. 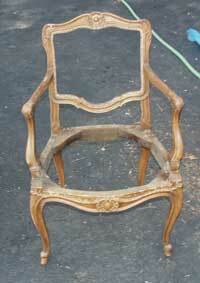 A restoration of this nature if "frame-off" style, meaning a complete disassembly of every part and piece. 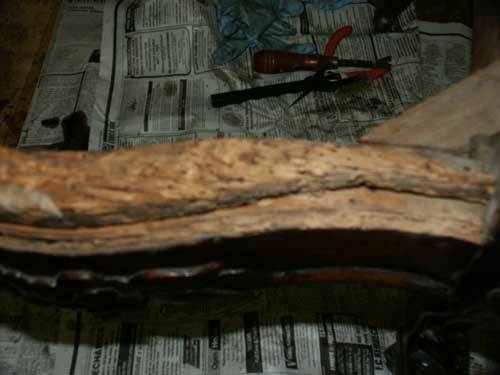 The original glue is completely deteriorated and has no bonding strength left. 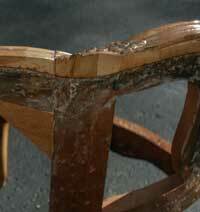 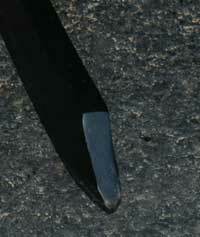 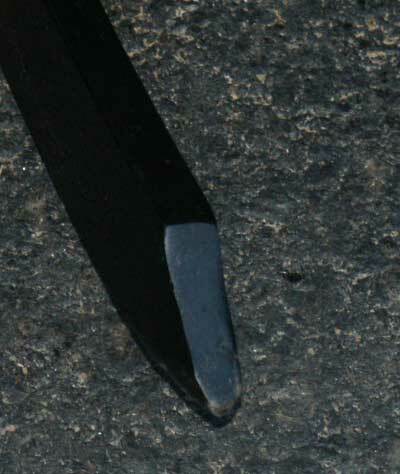 Joints must be carefully separated and all the original, and previous repair attempts, bonding agents removed. 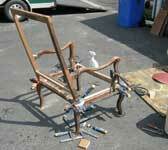 The second chair featured here arrived assembled, with upholstery intact, however almost every joint was loose. 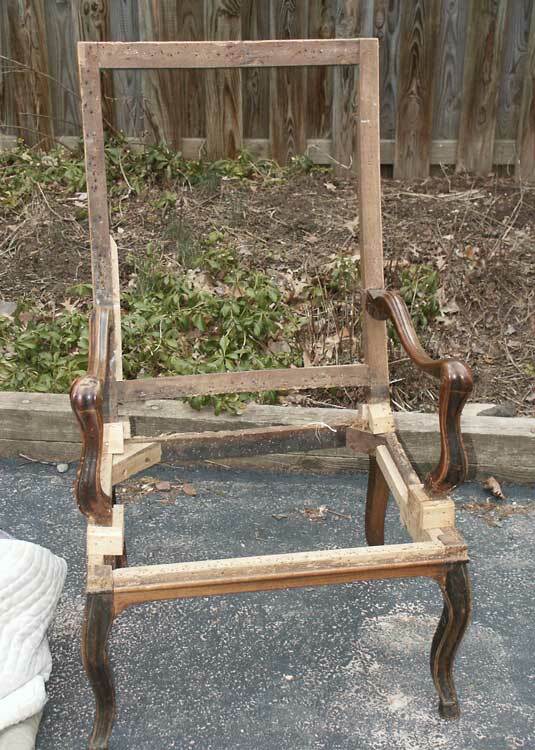 Never reupholster a chair without being sure the joints are solid. 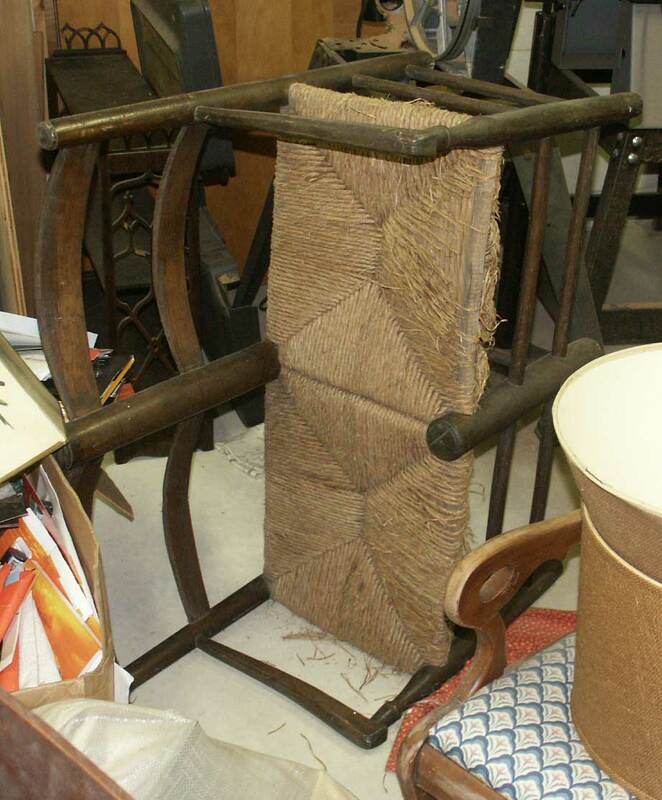 We removed the existing upholstery to reveal the frame and completely rebuilt the structure. 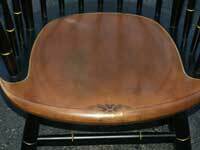 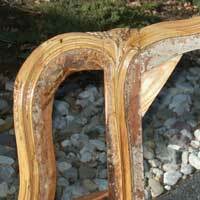 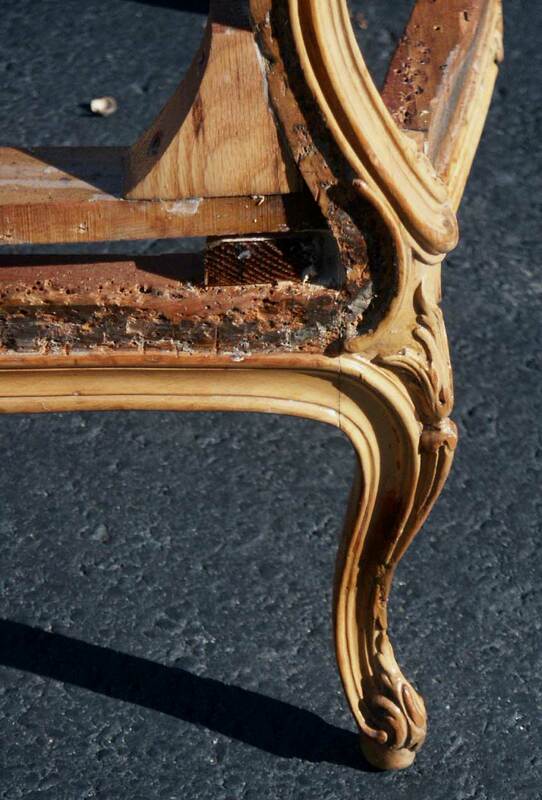 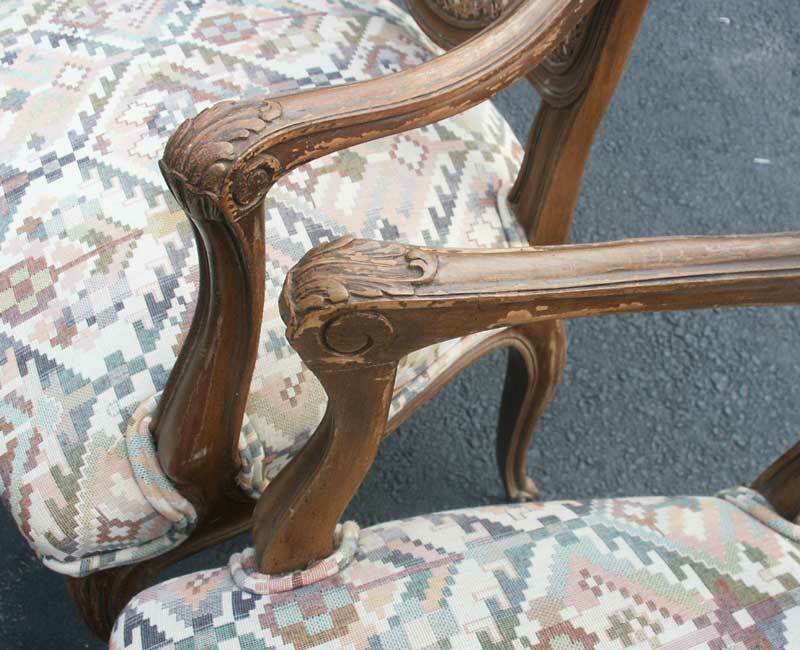 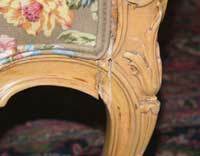 Everyone who has a chair restoration completed should consider a full frame restoration, wasting new upholstery on an unstable chair could be a costly mistake. 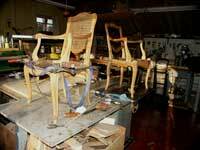 Artisans always fully rebuilds every chair we restore to ensure your new upholstery is worth the investment. 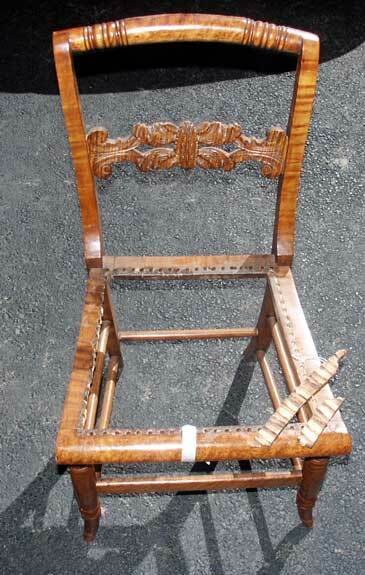 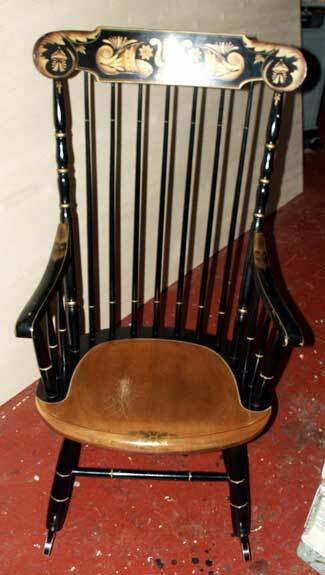 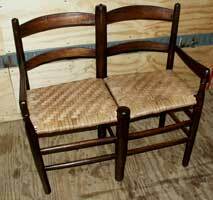 Below is a Tiger Maple caned seat chair with a split frame rail. 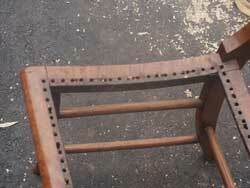 Years of direct pressure on a section of wood riddled with holes to attach the seat fibers gave way. 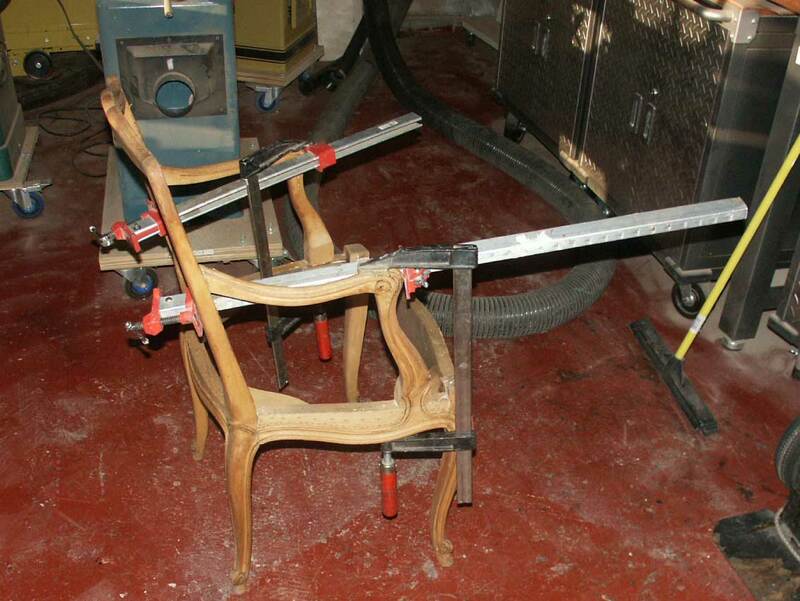 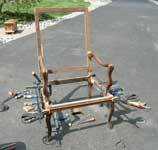 Using a handful of clamps and the right glue, the chair will soon be back to useable condition! 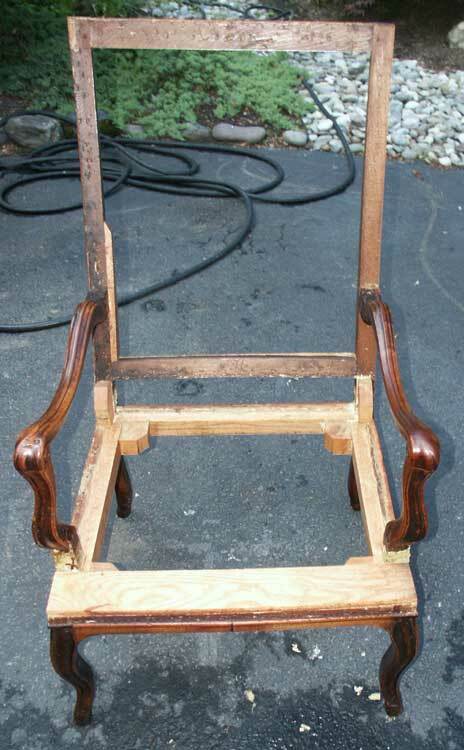 All set and revitalized, this chair is now ready to be caned and back in service! 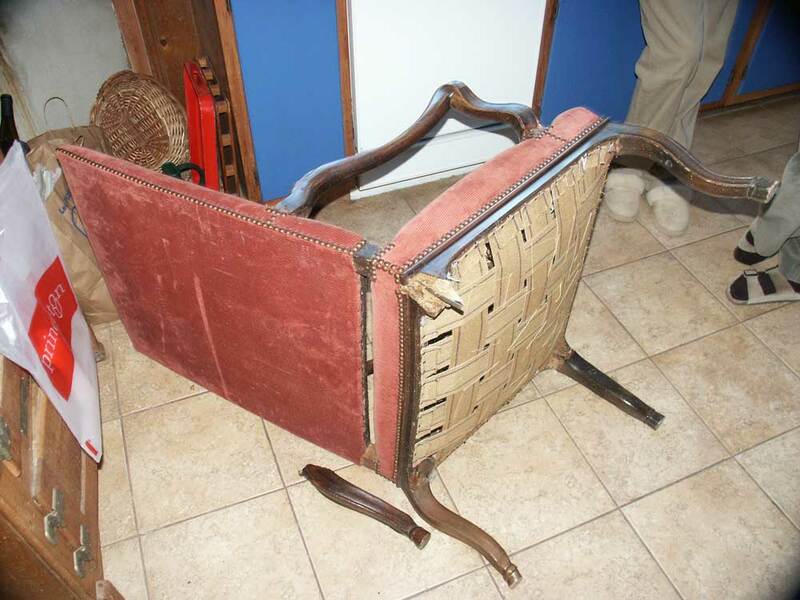 Chairs seem to be the center of many household mishaps. This one in particular was involved in an incident involving an individual that apparently tripped and fell taking out the left front leg of this "by standing chair." 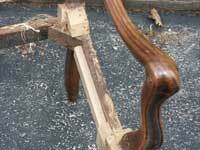 Apparently the leg had been broken before and poorly repaired with just a dowel and some staples. 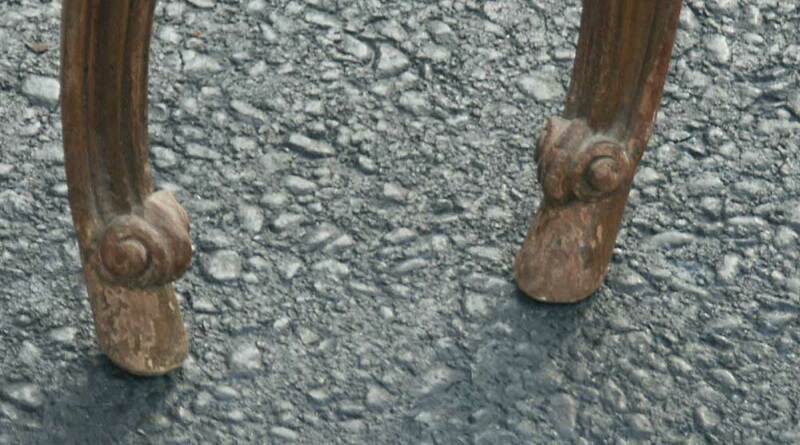 Unfortunately the failed left leg took a good portion of the right leg with it. 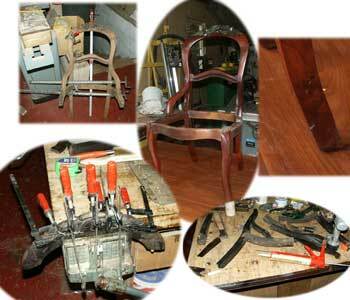 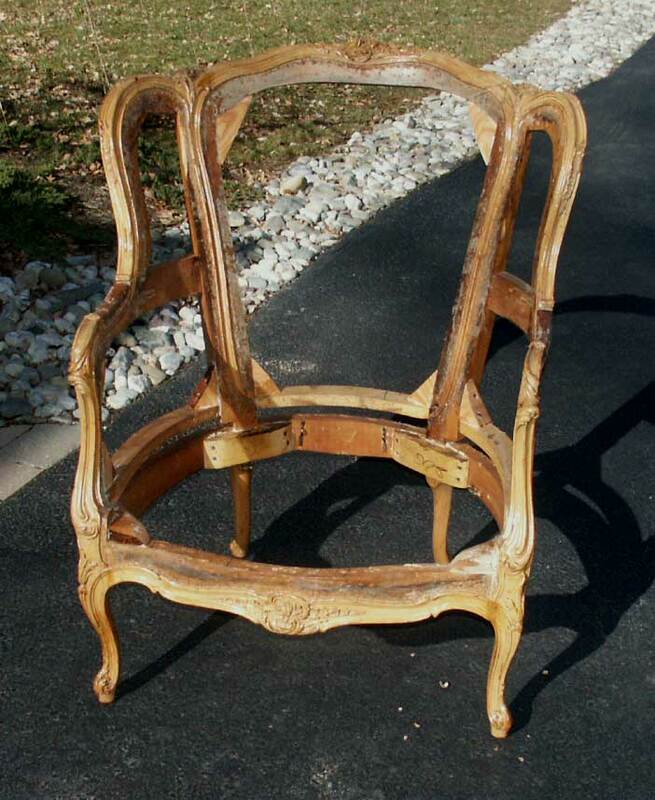 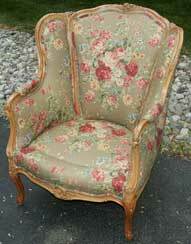 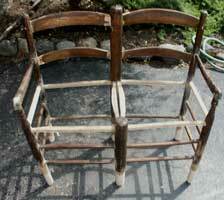 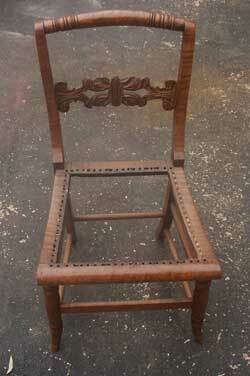 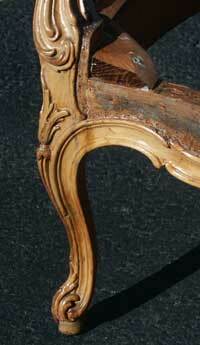 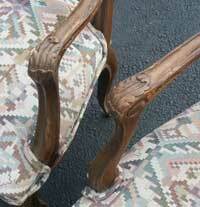 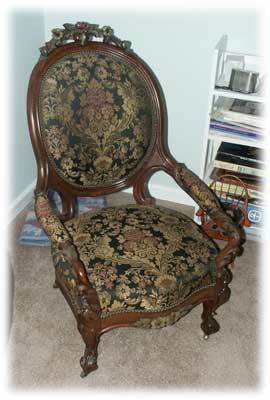 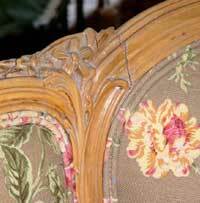 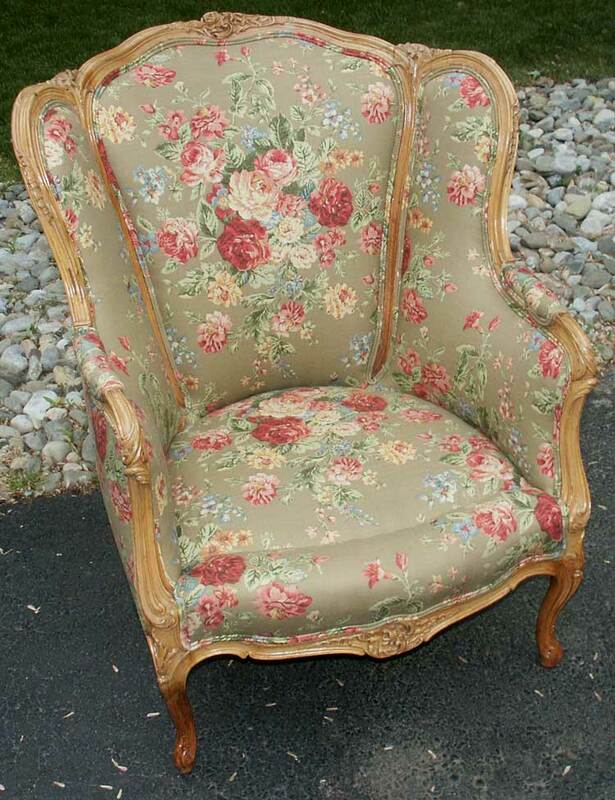 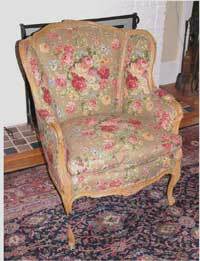 The whole chair is weakened and loose so a full restoration is the best choice. The upholstery was removed, and the chair was repaired and then reinforced with a variety of glue blocks. 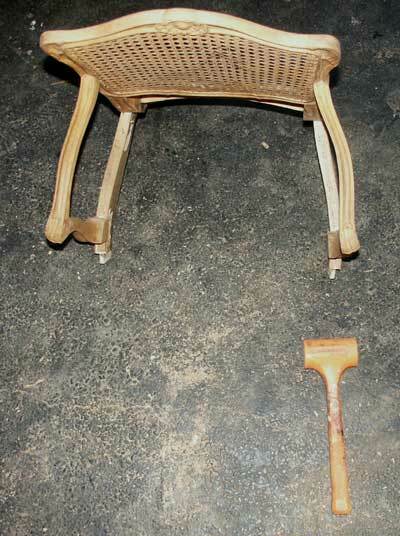 The broken leg was repaired, as well as the other broken joints. 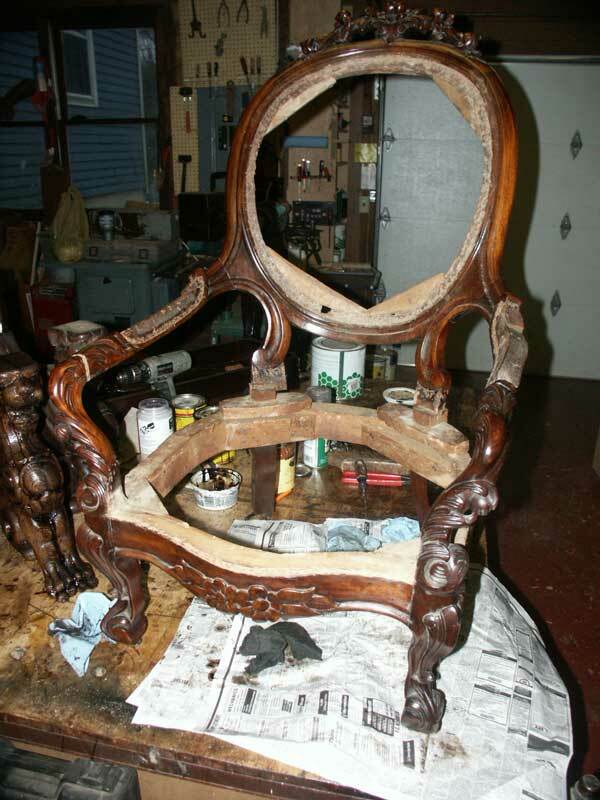 The various cracks and crevices were filled and the finish touched up. 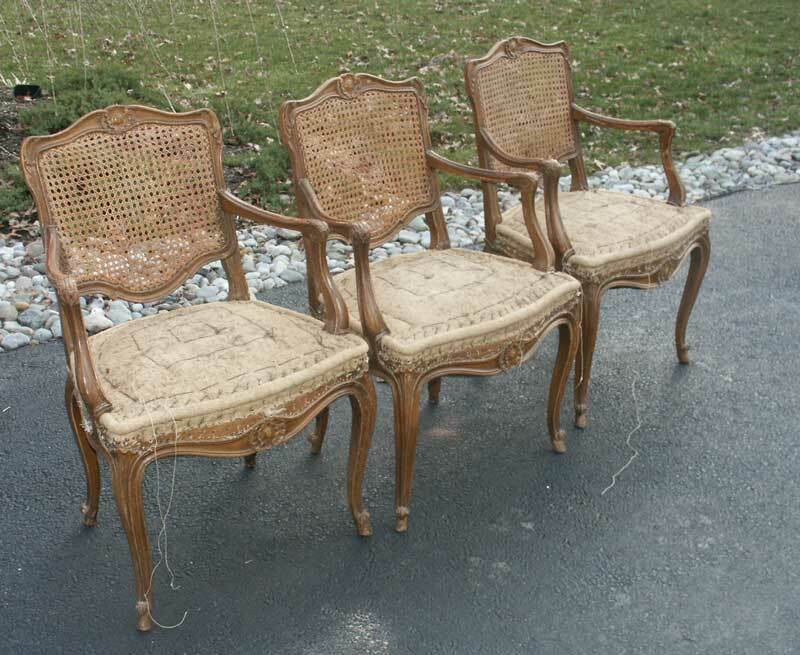 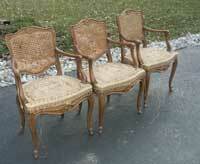 These chairs will soon receive their new caning. 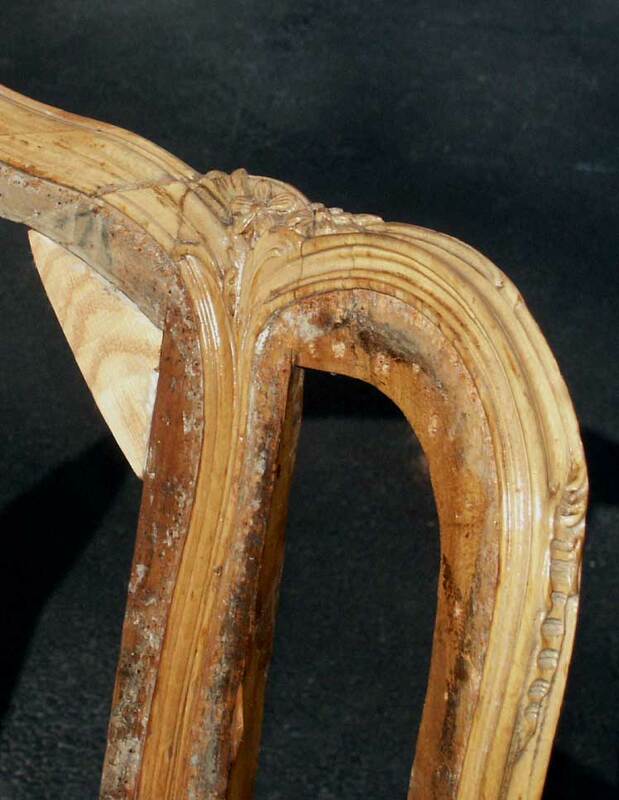 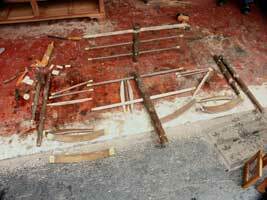 Keep checking for more examples of caning restoration work provided by our affiliate! 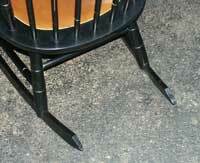 Loss of legs or loose legs are an extremely common problem with chairs. 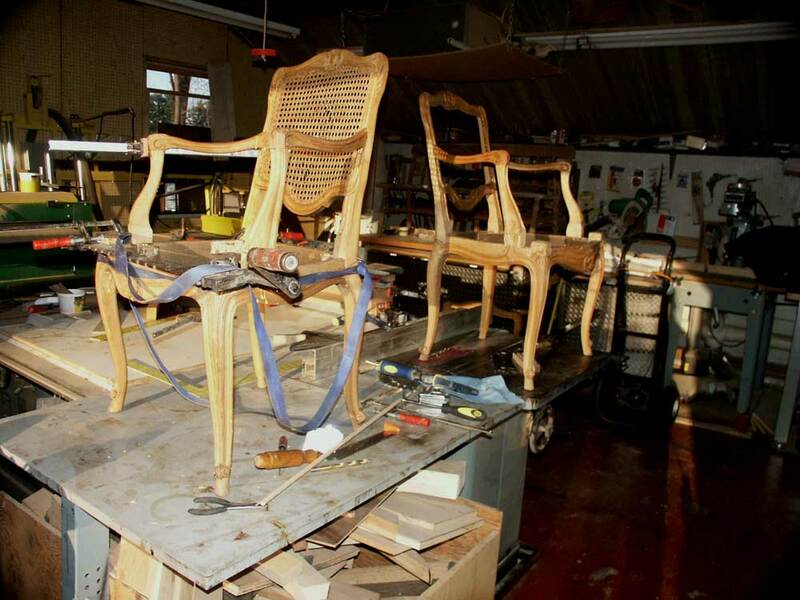 Artisans specializes in reattaching or even replacing chair legs. 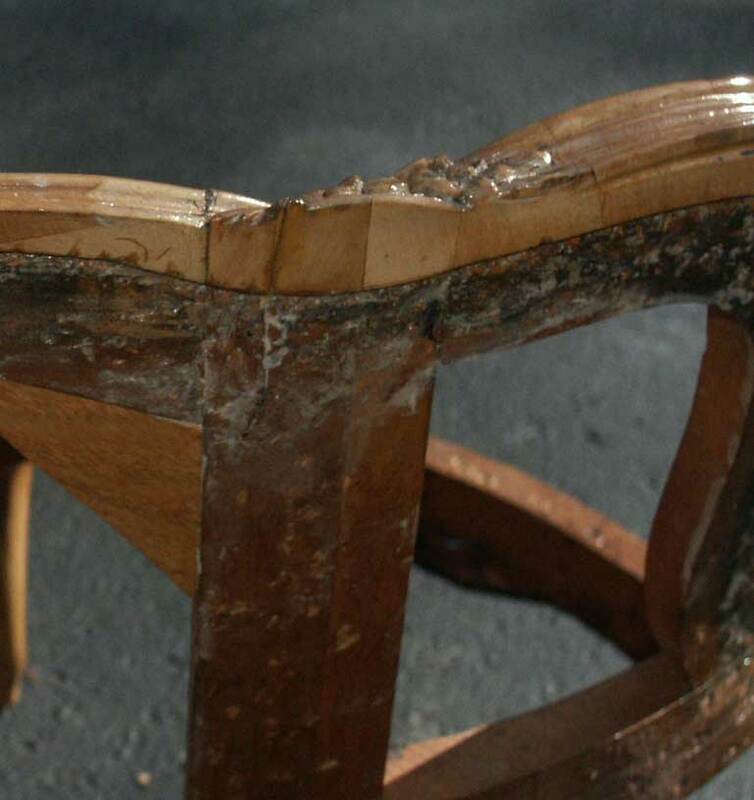 This chair sustained serious beetle damage and other deterioration. 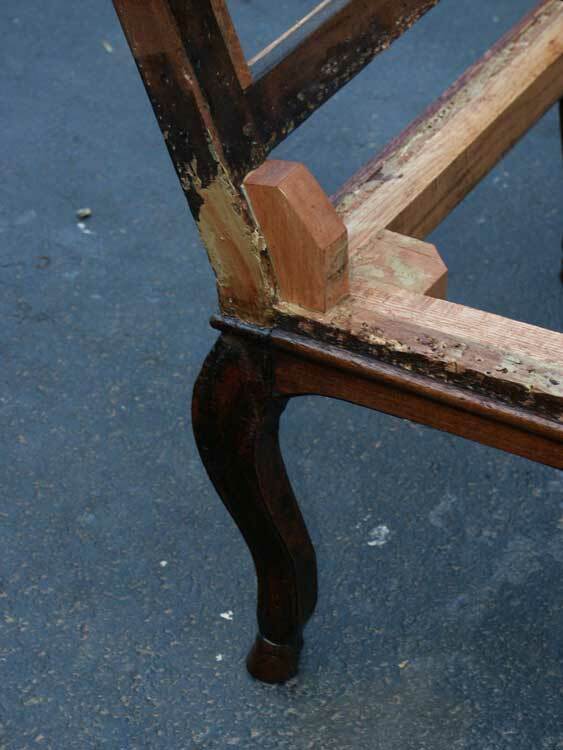 Restoration included reinforcement of all four frame rails, new corner blocks, and replacement of the upholstery nailing surfaces around the frame. 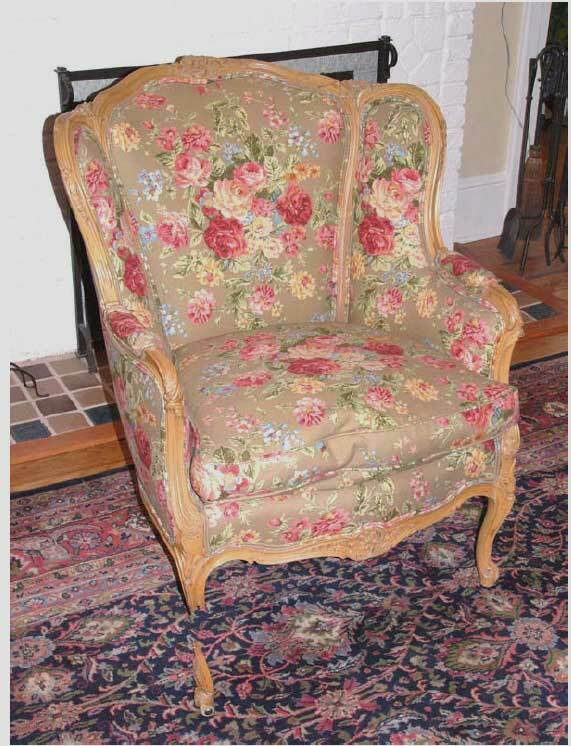 This chair is an example of a situation where there is absolutely no reason to attempt to apply new upholstery to before a full frame restoration is complete. 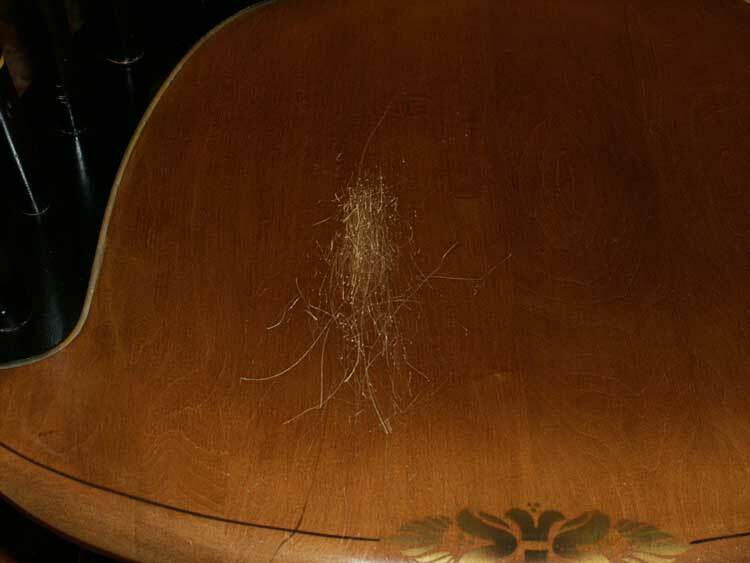 This unique setae was found in a condition missing an average of 4" on each of it's six legs. Each leg was spliced with a new section to regain the standard seating height, a few new spindles, and lots of adhesive combined to create a new life for this double seat. 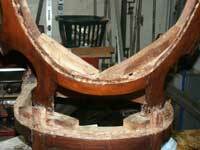 Refinishing, and a change in rushing took a completely deteriorated setae and returned it to functional use.